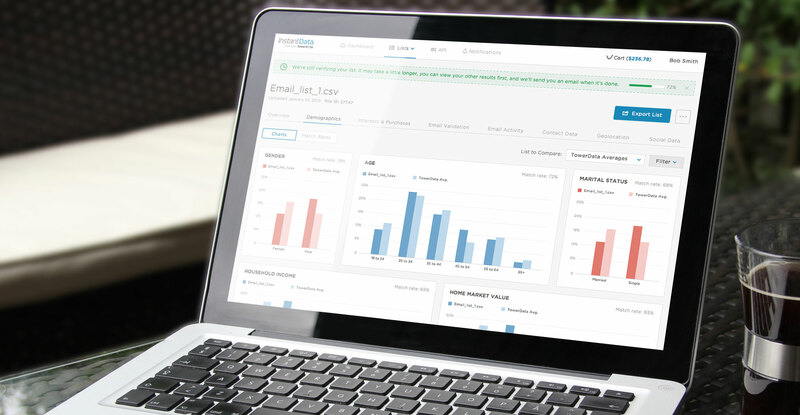 Since 2001, TowerData has been providing tools for marketers, database analysts and IT professionals that help improve their contact databases by validating email addresses for better deliverability. 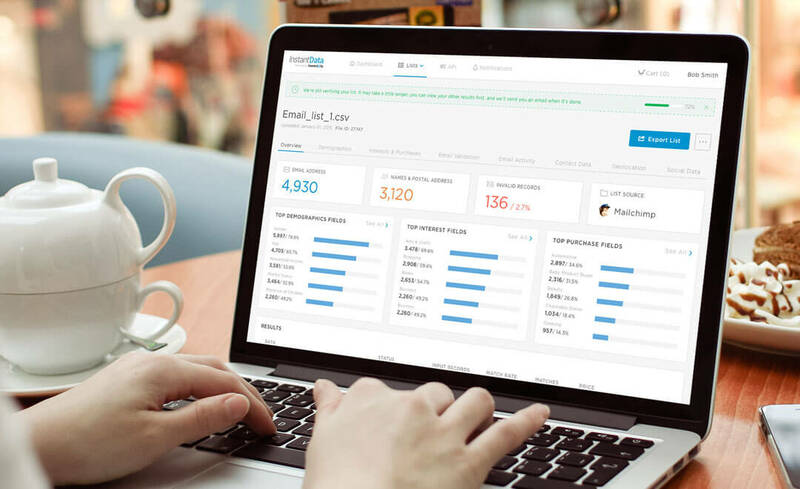 In addition to that, they also provide email intelligence to improve personalization, and adding email addresses to expand their marketing reach. 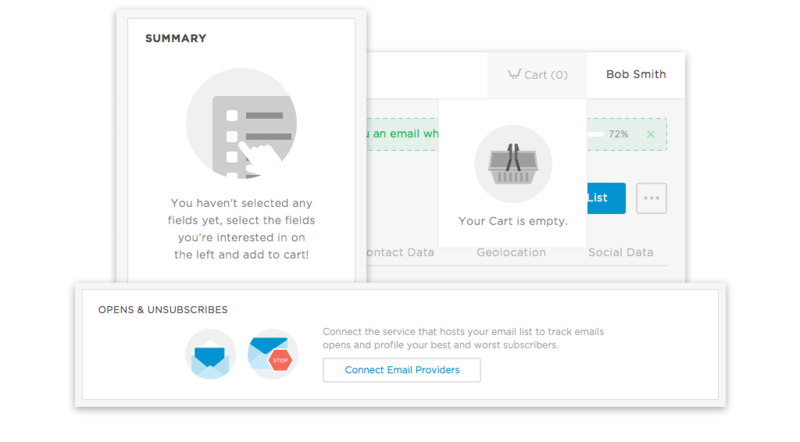 They also help their users understand more about their customers and turn that data into actionable email marketing campaigns that increase traffic and revenue. We were very excited to help them redesign their entire application, from ideation, to wireframes and visual design. 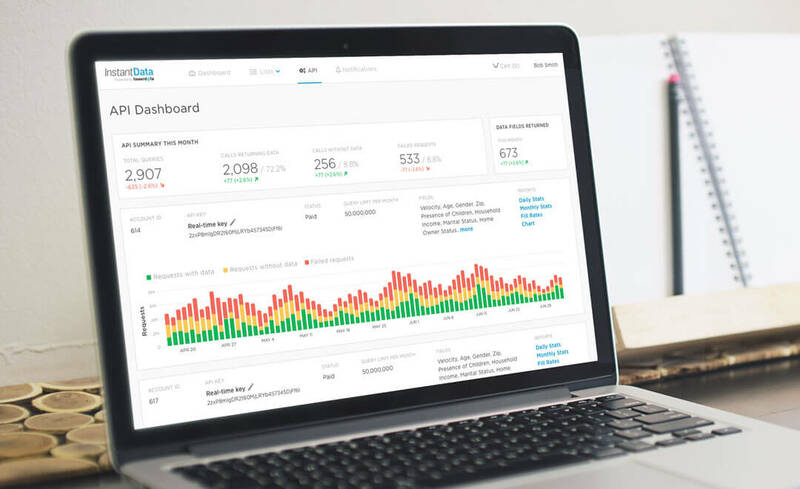 TowerData came to us to redesign their whole website with the vision that they wanted to stand out from the vast majority of competitors in the email marketing space. Despite how powerful it is, the tool needs to be still intuitive, easy-to-use and beautiful. They wanted to use design to communicate to their user that TowerData not only provides a broad range of services but also goes deep into each of them. 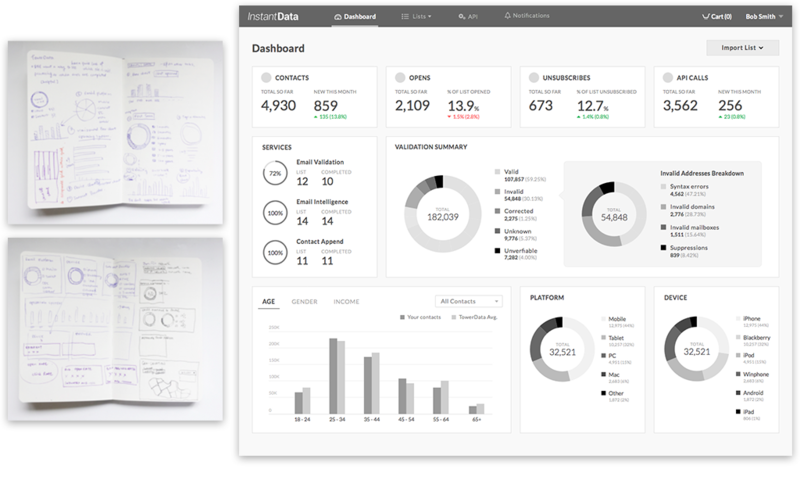 With all these requirements in mind, we helped them to rework the sign-up/login flow, onboarding flow, reviewing results flow, checkout flow, dashboard and API page. Guide the user step by step, and always show them what to do next. Need a better way and timing to display the user the three services – not confusing and not overwhelming. We need to tell the user what different service does in a simple and easy-to-understand way. Various services take a different amount of time. We need to prepare the user with the time spending. 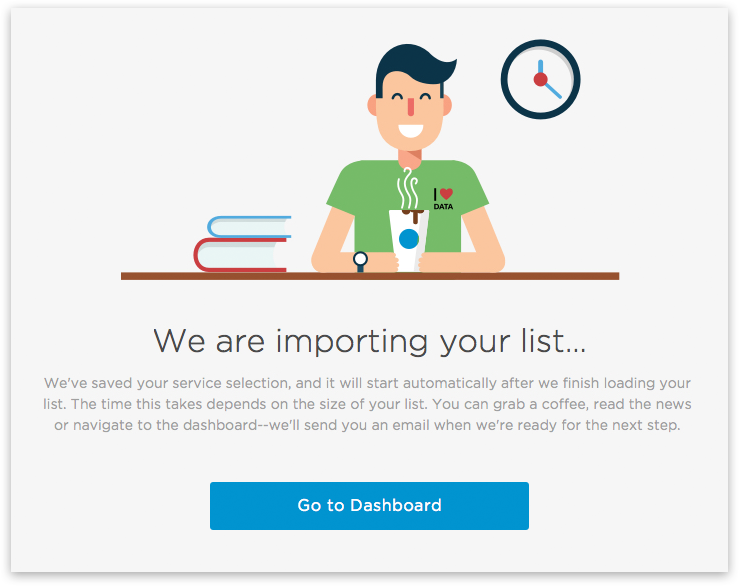 The onboarding flow is much more complicated than we thought. There were two different ways to import email lists. One is upload from their computer; the other is connect to their email service providers and import lists from the ESPs, which can lead to distinctively different flow and various scenarios. Thus, we created a user task flow to guide our design. For the visual design, we wanted to keep a minimal, clean and flat style. Thus, we chose a light color scheme with bright accent colors. Based on the size of the file the user select in onboarding process, it takes a different amount of time for the system to upload it, which ranges from seconds to minutes. No one likes to wait, so we wanted to make waiting to be fun with illustrations and playful copies. We care about the signup and login experience too. 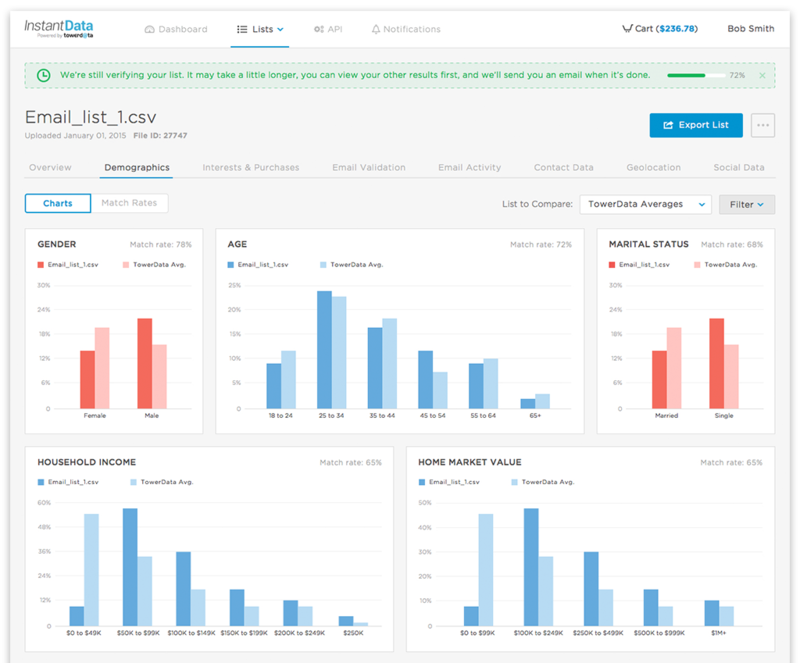 To encourage the first-time user to sign up, we also have some marketing copies and screenshots showing the user the benefits of the tool as incentives. 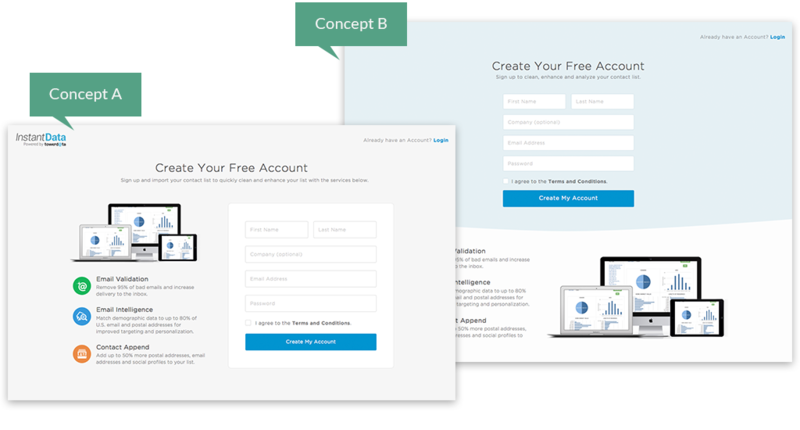 We provided the client with two sign up page concepts. After the A/B testing, we chose concept A. The user can potentially upload many lists and chooses different services accordingly. So we thought it would be very useful to have a list summary page where the user can manage and view the high-level information all their lists easily. TowerData can gather all kinds of information from email contacts and visualize it in the clear way that anybody can easily make sense of. The user can also filter the data to a very specific demographic range which can significantly help them personalize marketing message. Additionally, the user can compare their data with TowerData average, which the system collects from all users over time. We used illustrations for the empty state to guide the user through the next step. Illustrations can do an excellent job in conveying messages, ease up the user’s mood and tension, and also give the website more character. 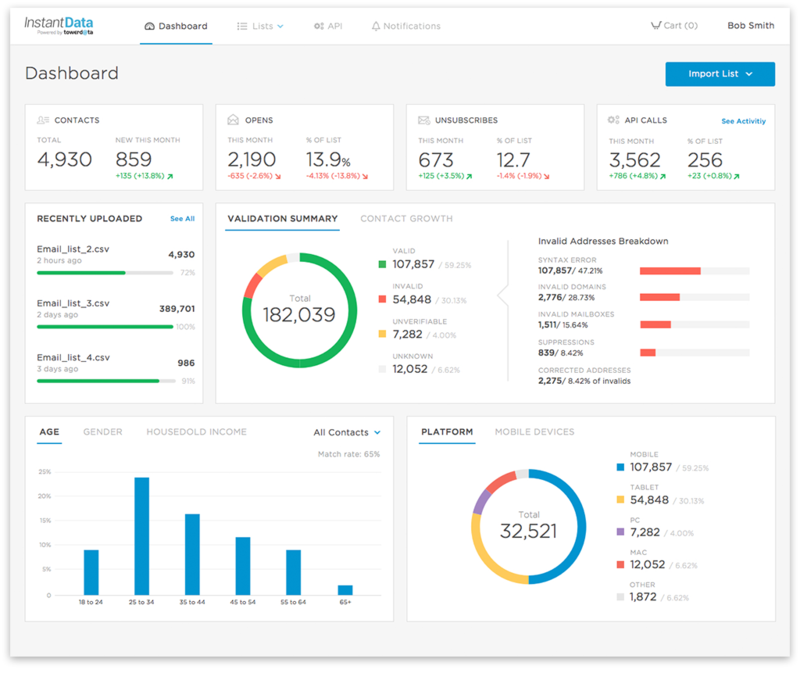 The dashboard is a place the user can see high-level information of their contacts and quickly see outstanding issues. It involves a lot of data visualizations. What information should be there? What kind of visualization should we use? I’d like to receive events and new updates.